We’ve released the latest version of the Factual PHP Driver: this includes enhanced features within our new Submit and Flag APIs, including clear and strict mode, as well as a number of new integration tests to make our collective lives easier during installation and testing. Diffs are now supported, and we also added a cheeky header to facilitate using the driver in a WordPress Plugin. The changelog is here. Don’t feel pressured to upgrade if you are using a previous version of the API. However, if you are writing data to Factual – it’s both fun and rewarding! – this driver gives you a bit more finesse over how you engage with the service. Same if you are using Diffs or other advanced features. 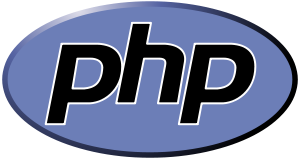 We’re keen to hear from all PHP developers using the service. Please submit requests and bugs to our PHP Driver Issue List or bang us a missive at http://support.factual.com.